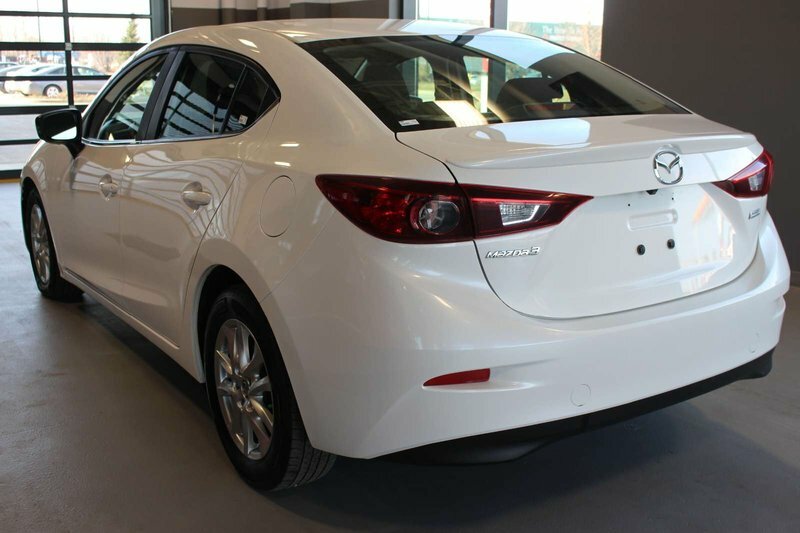 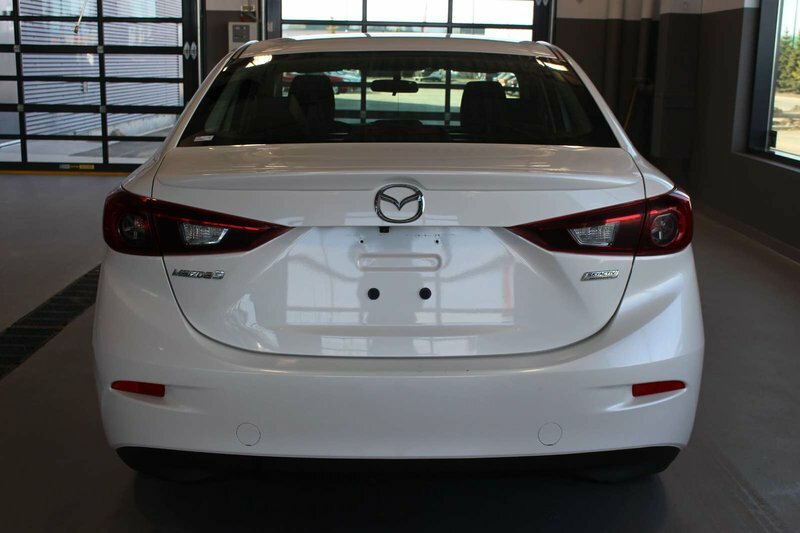 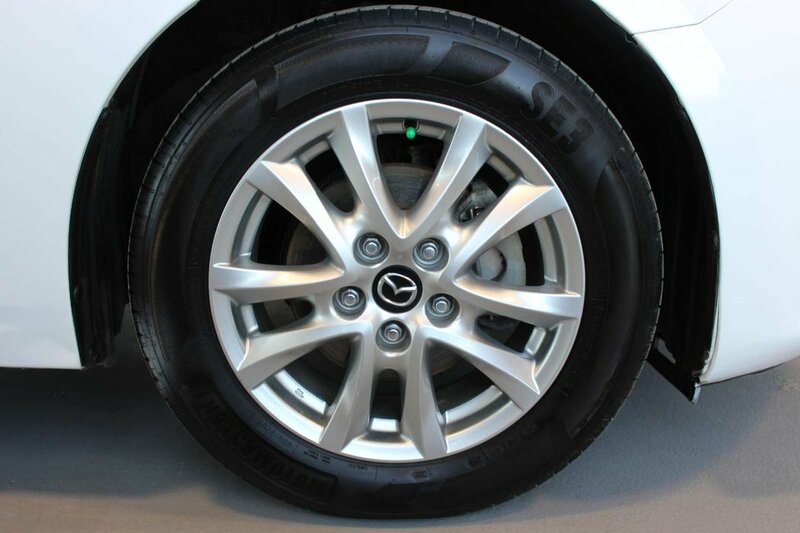 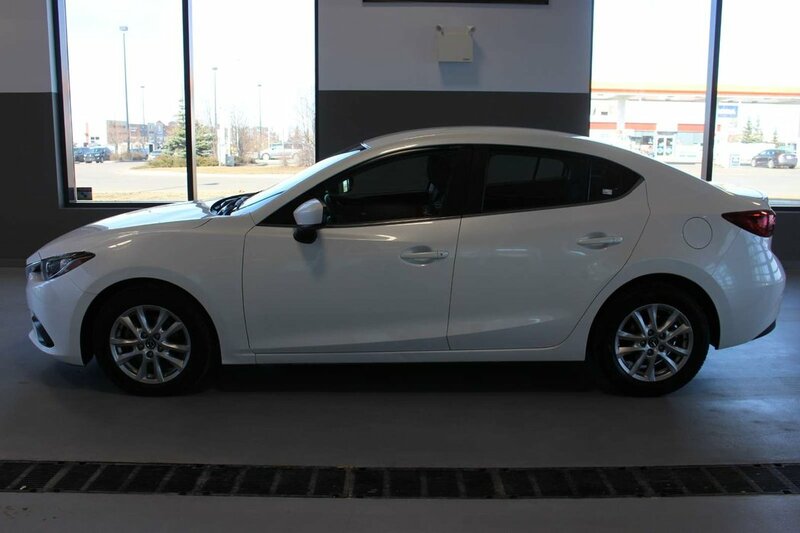 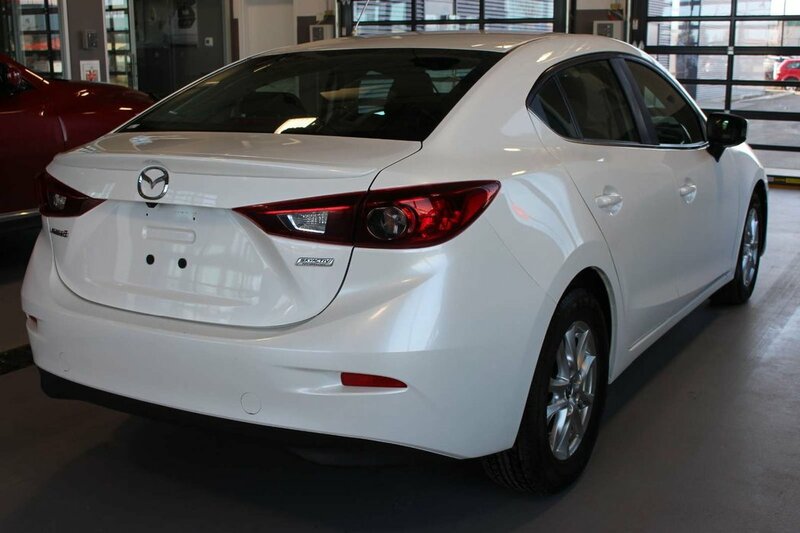 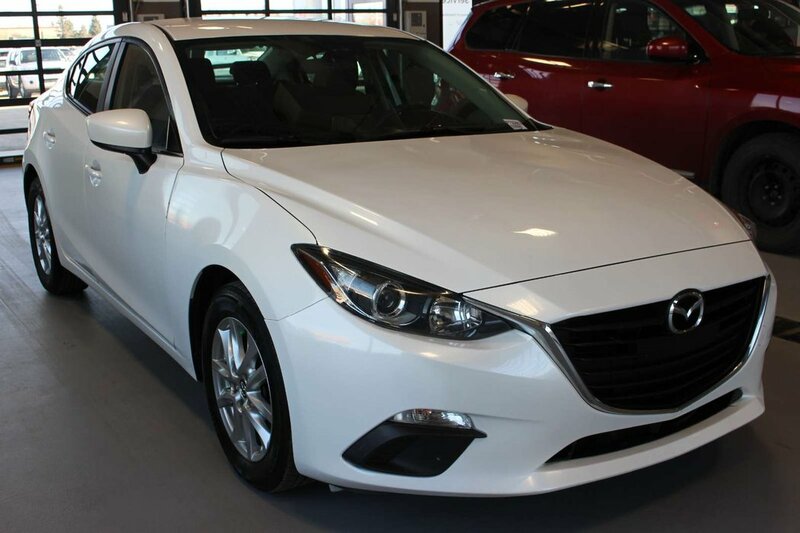 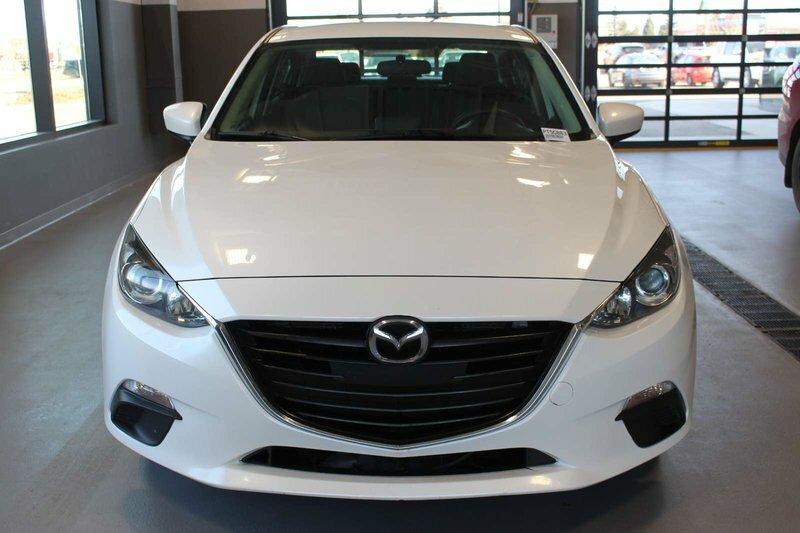 Bask in the stand-out style and versatility of our 2015 Mazda3 GS in Snowflake White Pearl Mica! 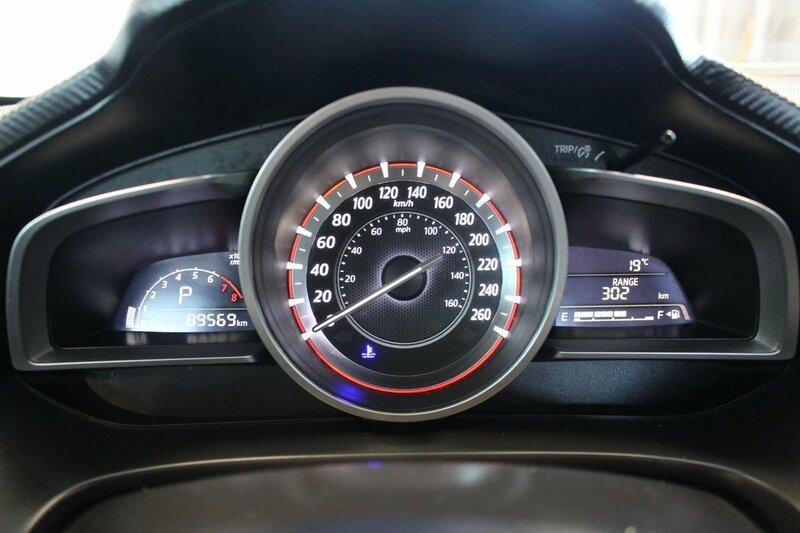 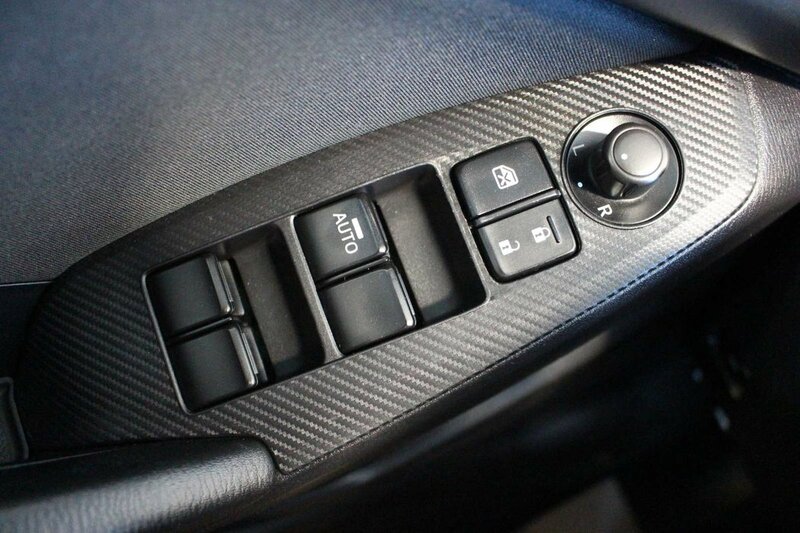 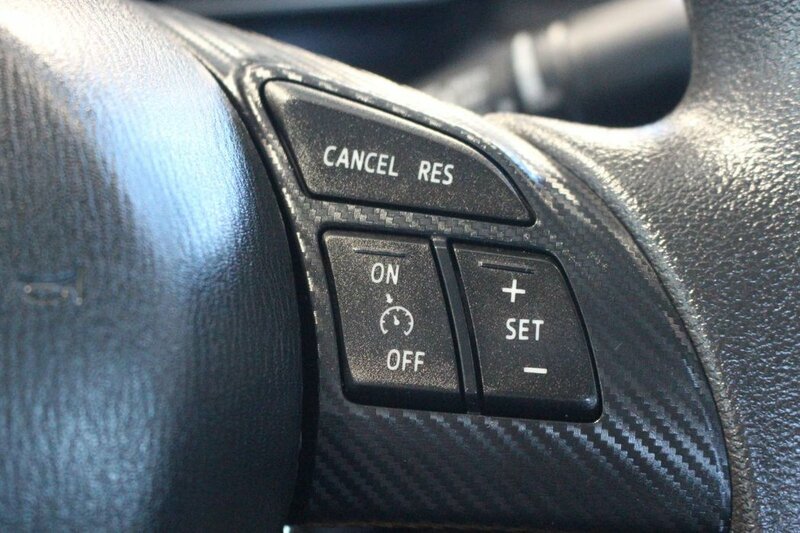 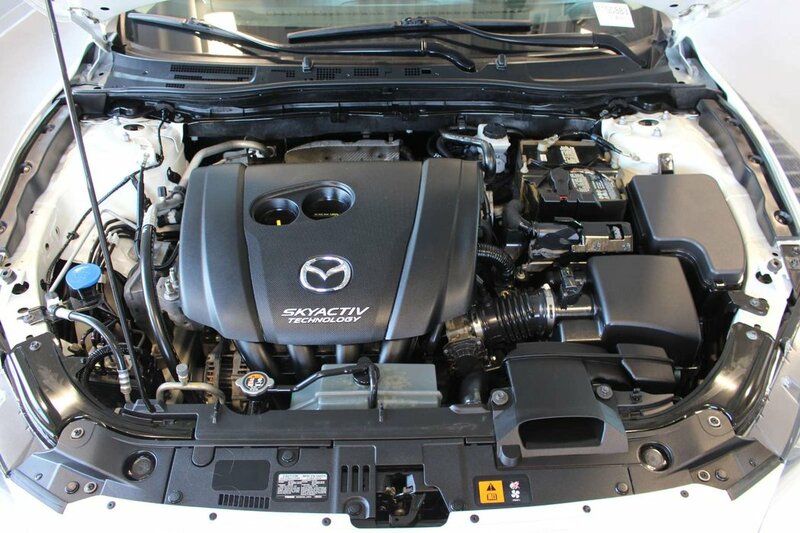 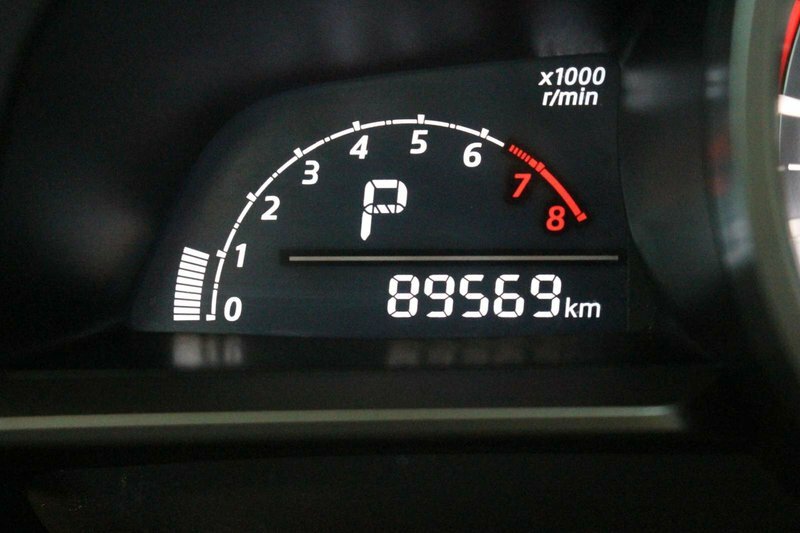 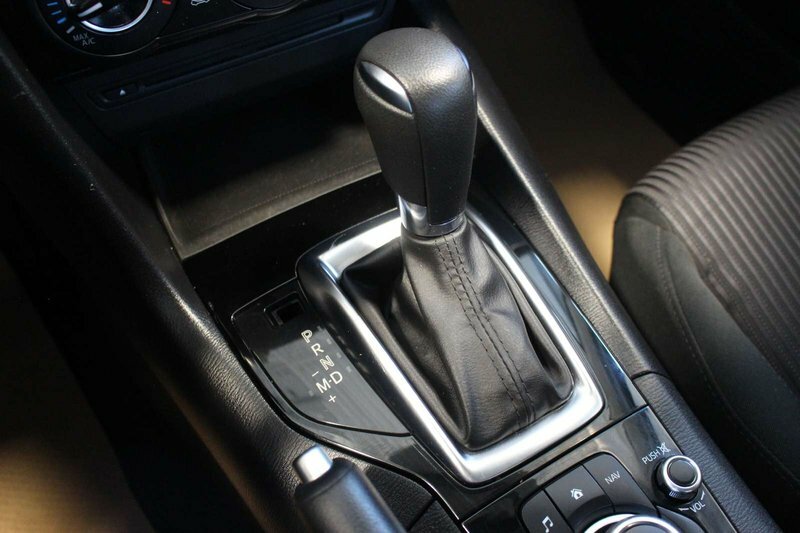 Powered by a 2.0 Litre 4 Cylinder that offers 155hp while mated to a smooth-shifting 6 Speed Automatic transmission. 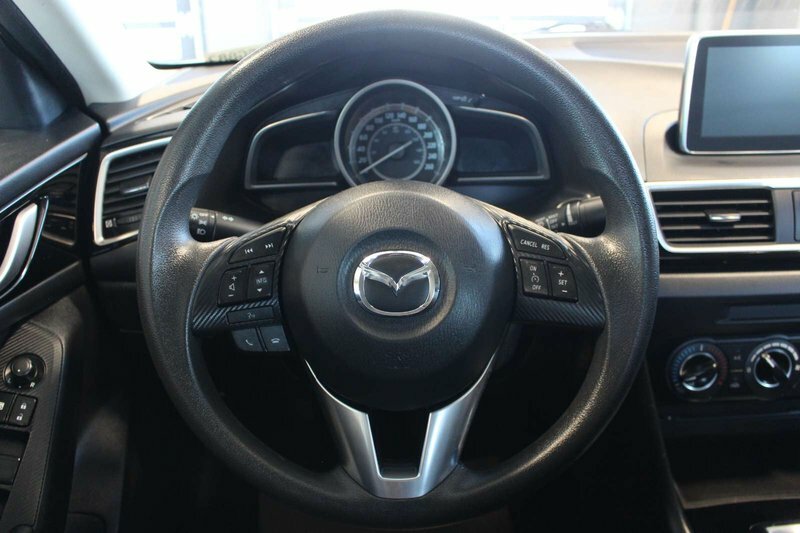 This Front Wheel Drive combination yields up to 5.9 L/100km and offers a spirited, yet composed ride with precise and responsive steering and overall dynamic handling. 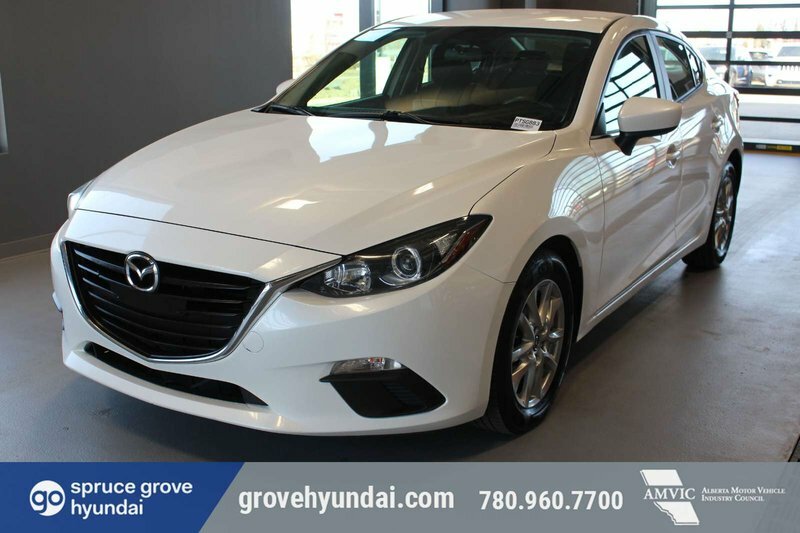 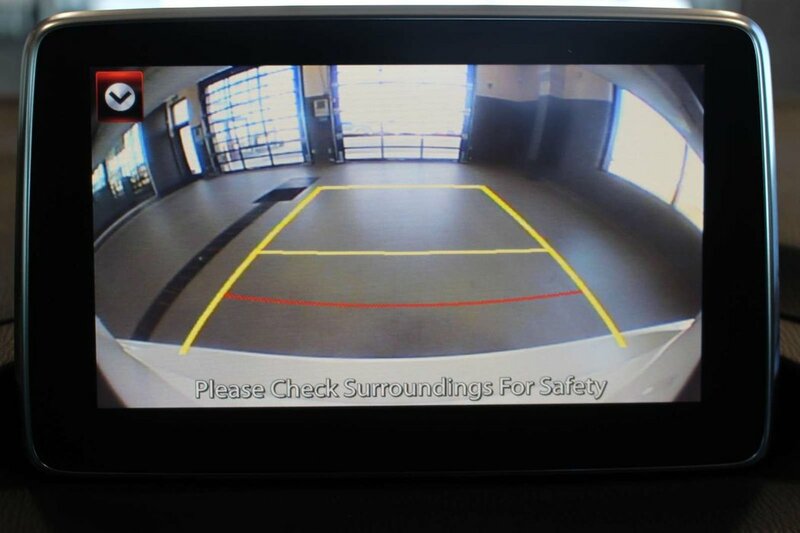 Aggressive and unique in its styling, our GS sedan is a true head-turner with a sport-inspired cabin that has been thoughtfully designed to fit your needs. 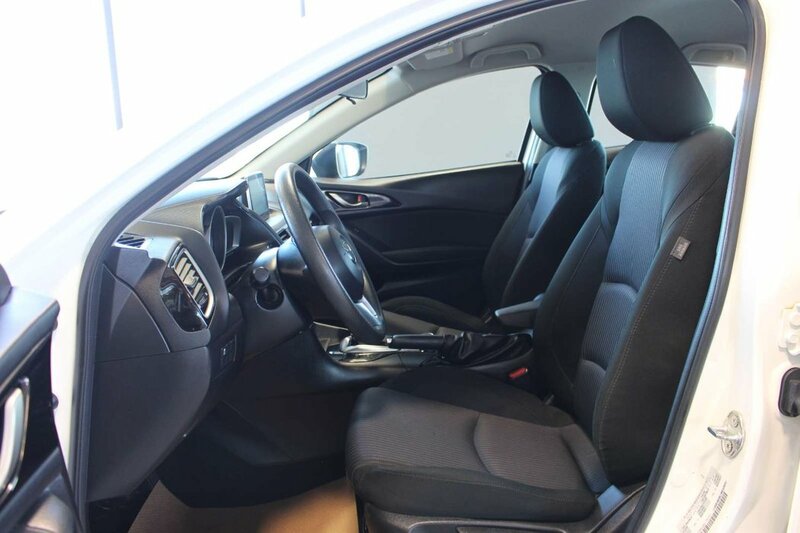 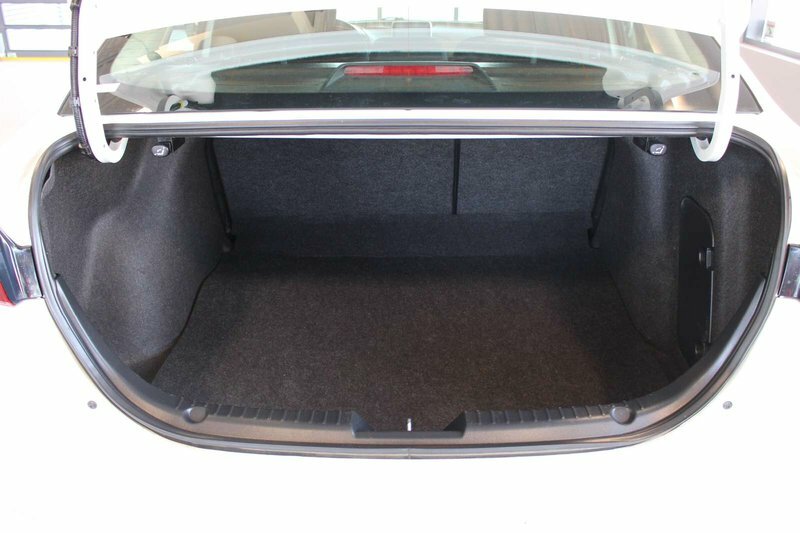 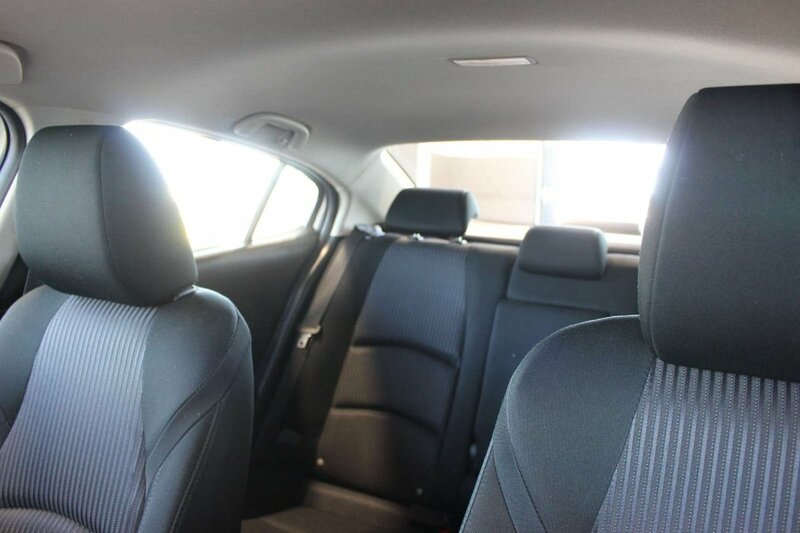 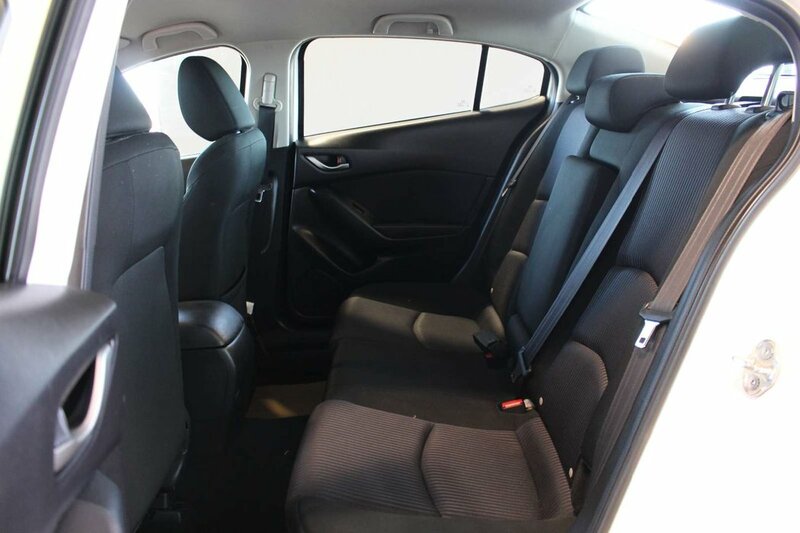 Full power accessories, cruise control, a height-adjustable driver seat, a trip computer, and a folding rear seat add to the comfort and convenience. 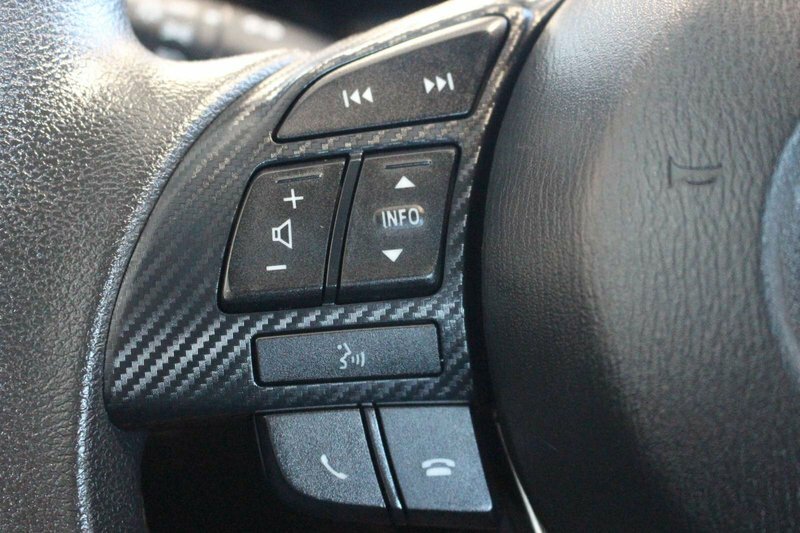 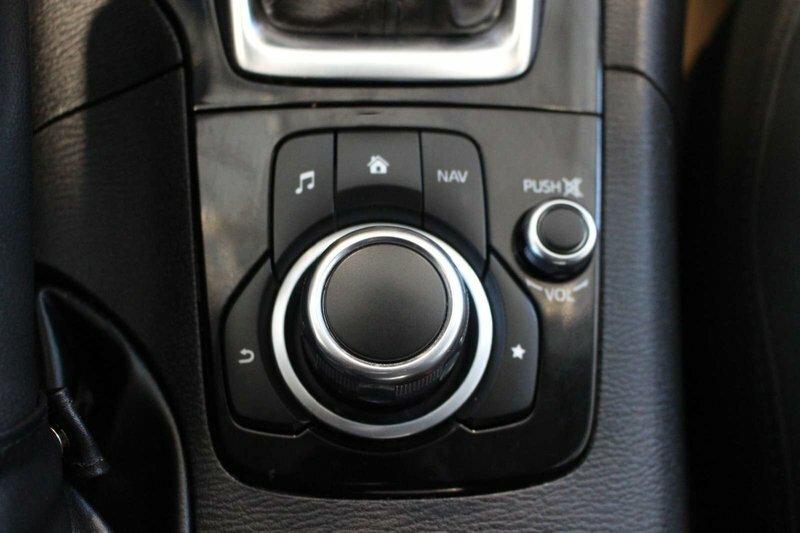 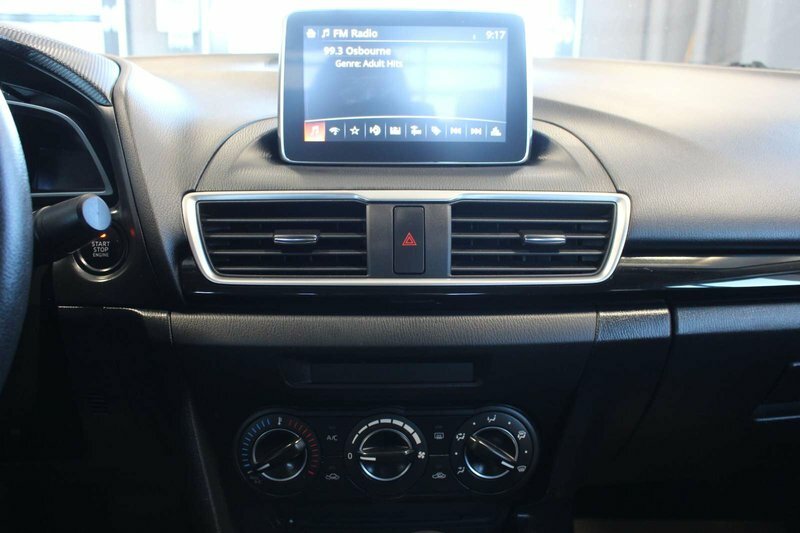 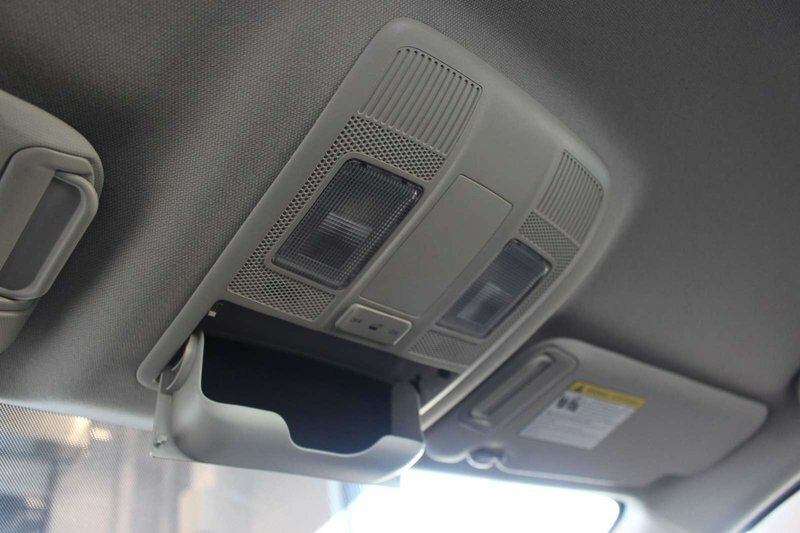 Enjoy your favorite tunes on a great sound system with a CD player, USB/iPod integration and auxiliary audio input as you enjoy this amazing ride.